Wellness Golden Bulletproof - to fight inflammation! Golden Bulletproof – to fight inflammation! I am a lover of bulletproof, to fill me up, and flood my body with nutrients and good fats! I have added my fav recipes for Bulletproof Matcha, Bulletproof Coffee and now the Golden Bulletproof! 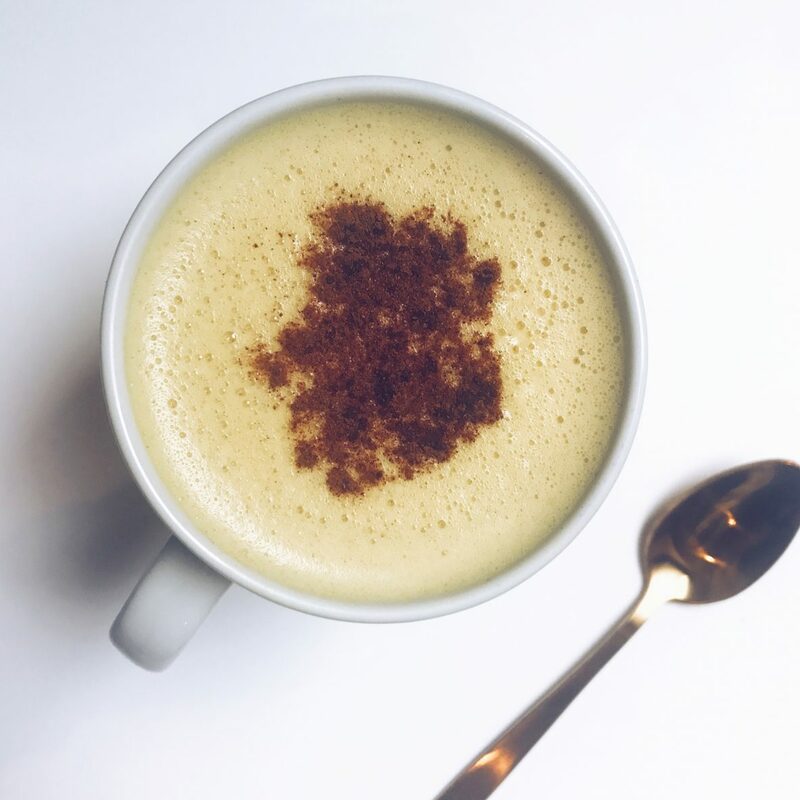 (if you’re not keen on adding the frothy goodness try my Turmeric & Ginger Latte. Black pepper mixed with the Oil increases the body’s absorption of the Turmeric (Curcumin) so why not give it a try! So head on into the kitchen and your gut will thank you later! Comment below or shoot me a message if you whip it up, I would love to know what you think! Keep up to date with all things wholesome, Wellness tips and incredibly easy, nutritious Recipes! Combine ALL ingredients, in a saucepan, over a low heat. Allow to gently heat. Carefully transfer hot liquid into a blender/Nutribullet. Blend for 30seconds. Sprinkle Cinnamon on top and serve immediately! Enjoy this gut-loving goodness. *Note, Black pepper mixed with the Oil increases the body’s absorption of the Turmeric (Curcumin) so why not give it a try!